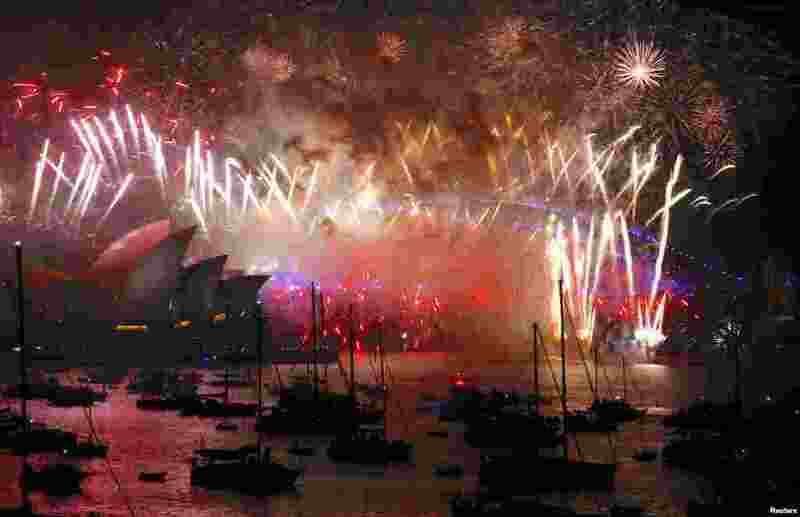 1 Fireworks light up the Sydney Harbour Bridge and Sydney Opera House during new year celebrations on Sydney Harbour, Australia, Jan. 1, 2018. 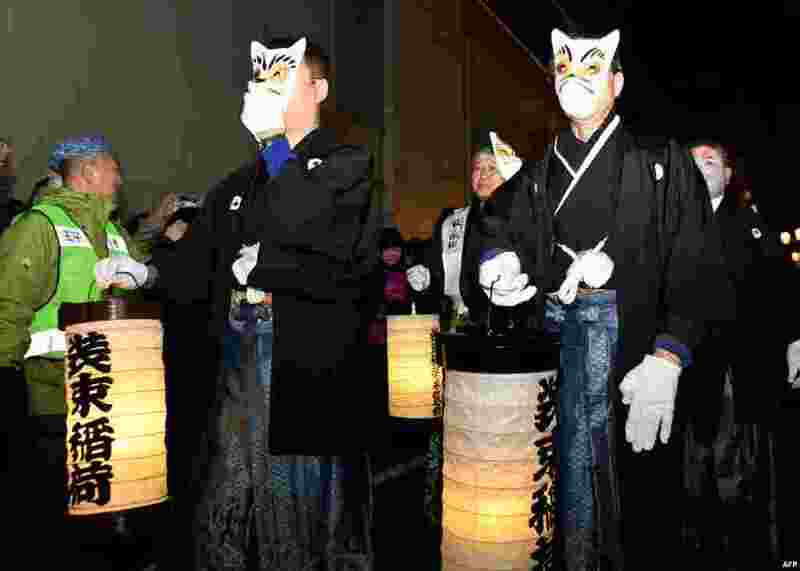 2 Residents in fox masks participate in the Oji Fox parade to thank the outgoing and welcome the incoming year at the Oji Inari shrine in Tokyo, Japan, Jan. 1, 2018. 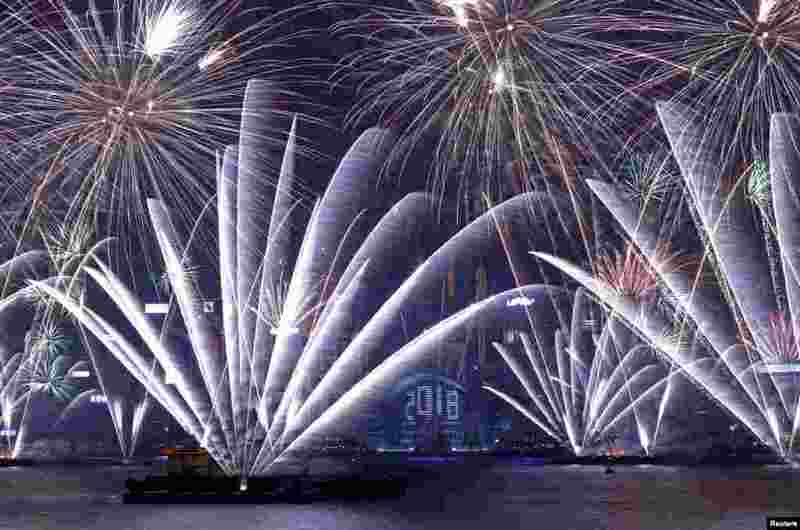 3 Fireworks explode over Victoria Harbour and Hong Kong Convention and Exhibition Centre to celebrate the New Year, Jan. 1, 2018. 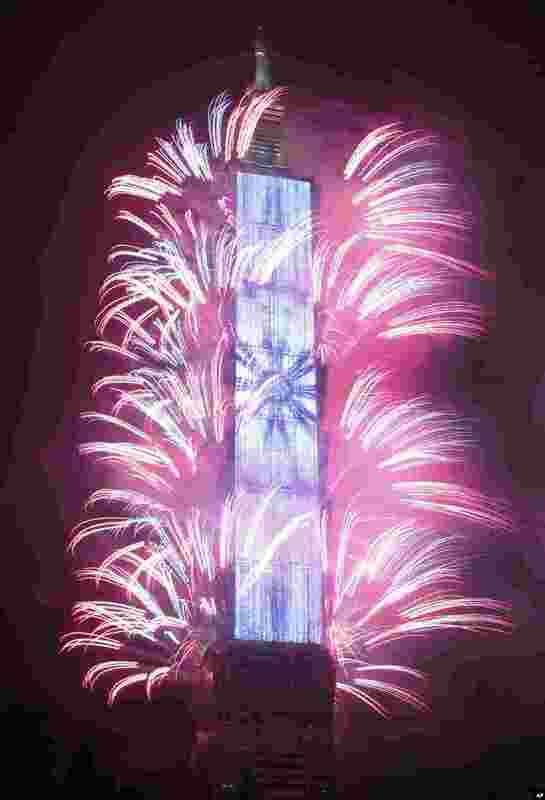 4 Fireworks explode from the Taipei 101 building during the New Year's celebrations in Taipei, Taiwan, Jan. 1, 2018.